A Bittersweet Fountain: Issues, Trades, and Volumes! OH MY! Issues, Trades, and Volumes! OH MY! Like any medium, comics come with it's own terminology, and it can be confusing. You might have heard people talking about their "pull lists" or distinguishing between Young Avengers volume 1 vs. volume 2, and maybe you have no idea what those things mean. Well, never fear! I am here for you! Issue: This is the term that most people are probably familiar with. Issues are the flimsy, magazine like books that are numbered, like Tales of Suspense #57 (the first appearance of Hawkeye in a Marvel comic). In this case, Tales of Suspense is the "title" or "series," and #57 is the issue number (i.e. up to that point there had been 56 other individual magazines). 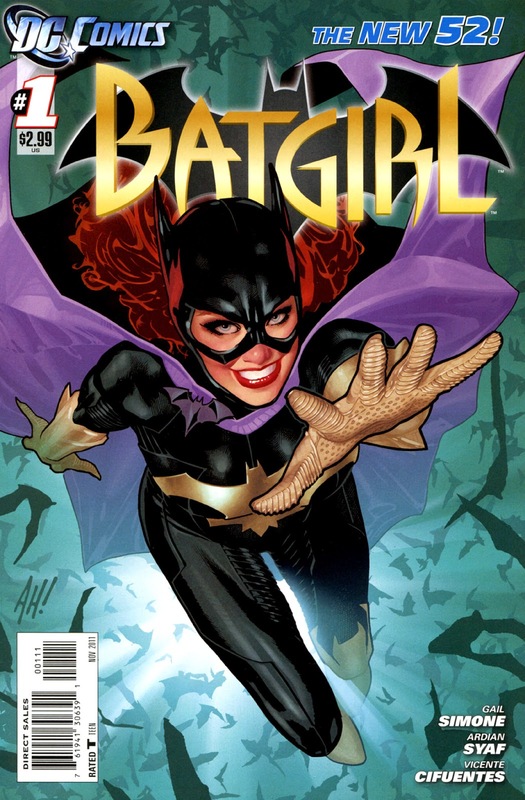 Issues are what comic fans are buying on Wednesday--the day that new comics are released to the public. Pull List: Speaking of comics coming out on Wednesdays, you might often hear comic fans refer to their "pull list." A pull list is something you can set up at your local comic book shop. Basically, it's a way to guarantee you get the issues you want. If you want to read Hawkeye and Nova, and you want each new issue when it's released, you go to your local comic bookstore, and you tell the people who run the store that. You list all the titles you want. Then they'll have the new issues waiting for you on that day. Otherwise, they may not order your comic (especially if you like something obscure) or they may run out before you get there (like Hawkeye). So it's basically a form of pre-order for issues. Comic store owners use these pull lists to know which issues they should order. And then publishers use these pre-orders to determine how well a comic title is doing. It's a system that depends on people buying hard copies of issues, and it's slowly evolving to take electronic comic sales into account. Trade: You may on occasion hear comic fans say something like "I'm interested in that title, but I'm going to wait until the trade comes out." What the heck does this mean? Run: When a certain creator writes several issues in a row, those issues collected are referred to as a "run." I myself have referred to Keiron Gillen's run on Journey Into Mystery here on this blog. Keiron Gillen's run is all the issues of Journey Into Mystery that he wrote, which happen to be issues #622-645. But volumes are important, especially in cases of re-numbering situations. For example, the current Hawkeye comic, which is Matt Fraction and David Aja's brilliant run, is Hawkeye volume 4. So if someone refers to Hawkeye vol. 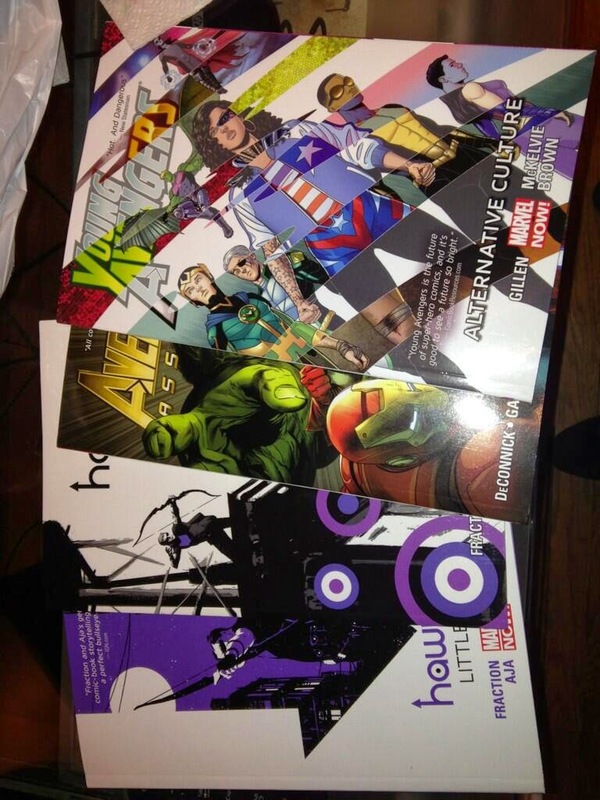 4 issue #1, you know they mean the Matt Fraction/David Aja run, and not any of the previous Hawkeye comics. All these volumes are in Volume 1. Cuz they're really trades. Because volumes are so vague, I don't pay that much attention to them. I tend to pay more attention to creators and their runs. But they can be very useful when talking about titles where a creator spent many years writing the comic. Ed Brubaker wrote Captain America for 8 years, so his "run" is very long. But Captain America vol. 5, which he wrote, is the groundbreaking "The Winter Soldier" storyline, that the upcoming movie of the same name is based off of. It's important not to confuse volumes with trades. Sometimes trades are numbered, and sometimes they are referred to as "volumes." But trades and volumes are not the same thing. Volumes are (most of the time) collections of trades. But this is why you'll occasionally see, when a trade is released (especially in e-form), that you'll be looking at Runaways Volume 1, vol. 1. They'll publish a trade and call it volume 1 when really it's just the first trade of volume 1. I hope that wasn't too confusing for you, but if you have any questions, don't hesitate to ask them in the comments! There's a comic book store just a few blocks away from my apartment and your posts have reminded me I want to visit this weekend. Awesome!